Jason Momoa looks like he’s one part Viking, one part rock star and two parts Hawaiian Jesus — but one thing’s for certain, he’s all hunk. And though his looks are certainly showstopping, they’re not the only reason we love him so much. He’s handsome, he’s talented, he’s romantic… did we mention he’s handsome? I mean, there are a million reasons we can’t get enough of Game of Thrones, and we’re always wistfully waiting for Momoa to pop back in. If you’re not as obsessed as we are, it’s officially time for you to hop aboard the Momoa train. Here’s why. Getting into character for an audition is hard. It’s a sterile environment, and the people reading with you don’t usually give much back. But, dude. Momoa’s audition to land the part of Dothraki warlord Khal Drogo in GoT, is crazy good. He performed the Haka, a traditional South Pacific war dance. Momoa is a big dude, but he’s super in shape and isn’t afraid to throw his weight around. 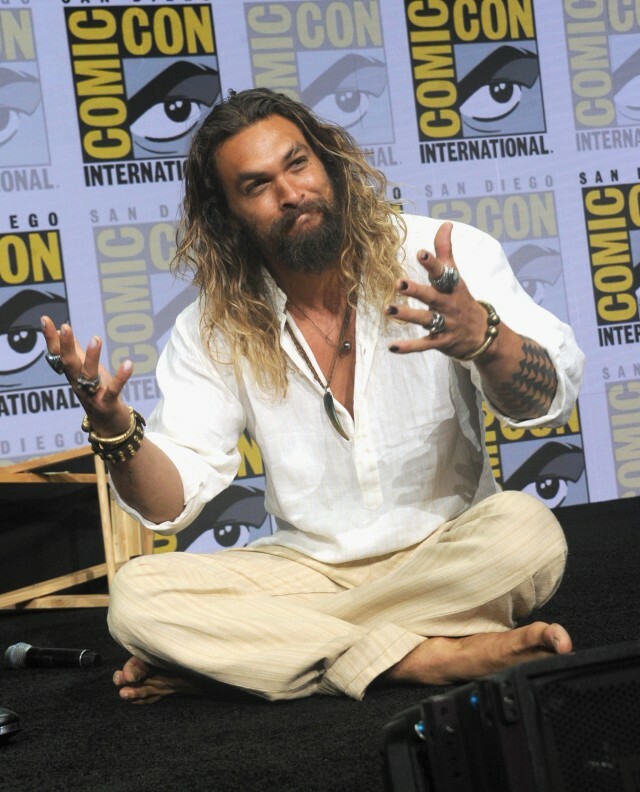 At a Comic-Con presentation for Justice League in July 2017, he interacted with fans as he sat cross-legged on the ground, thrashed his hair around as he showed off his trident and even smashed his chair on stage to get everyone riled up (in a good way). 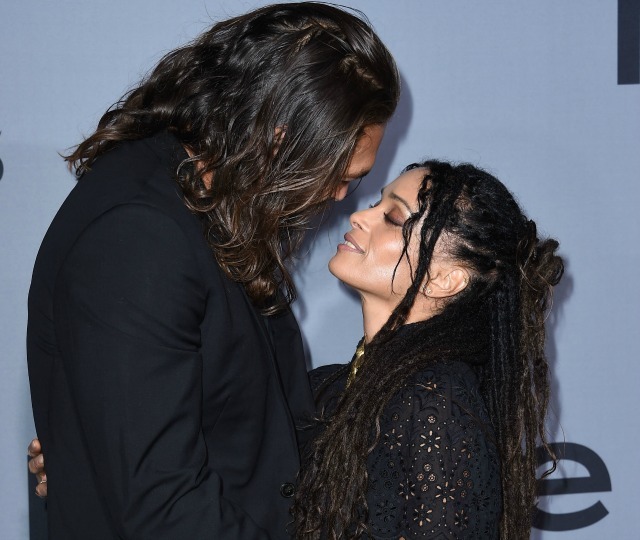 Not only does Momoa make up half of one of Hollywood’s — and, you know, the planet’s — hottest couples (his wife is Lisa Bonet), but he also has two healthy, happy, gorgeous children. On top of that, the hulking six-foot, four-inch star is a total softie when it comes to Bonet. “She’s so amazing,” he told HuffPost Live. “She’s an angel. She’s amazing. God bless her.” He also said he wrote her part in Road to Paloma specifically with her in mind because she is his dream girl. “I always wanted to work with her. It’s funny [though] — she made me shy.” Be still, our hearts! More: Can We Stop Freaking Out Over This Picture of Jason Momoa’s Daughter? Sure, many of Momoa’s roles have been tall, dark and silently brooding types — but the actor is far from one-dimensional. To maintain his manly physique, Momoa likes to take it outside the gym. He enjoys rock and ice climbing, snowboarding, hiking, skateboarding, roller hockey and mountain biking. In his downtime, he devours books, devotes himself to Buddhist studies and composing haikus. He also plays guitar and considers spending time with his kids to be one of his favorite pastimes. So cute. “I think a man needs to be a man. To hold a woman the way she wants to be held,” he told the New York Post. “Just do whatever your woman wants, and you’ll be fine.” We die. 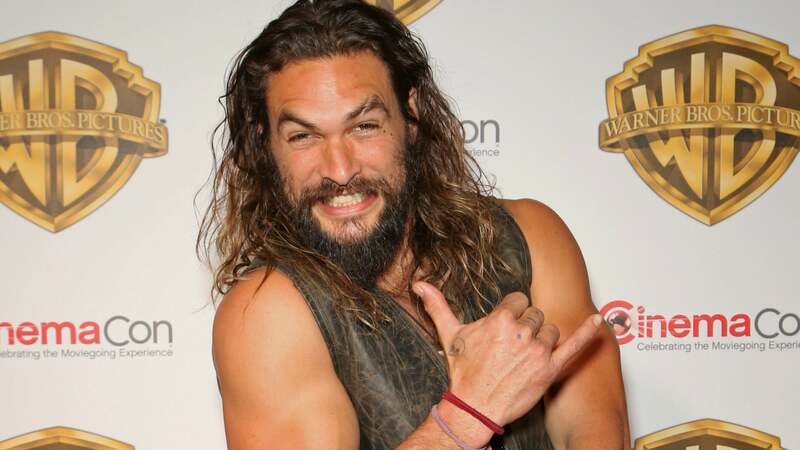 It’s been a hot second since he was on the Hawaiian version of Baywatch (yes, that’s a 19-year-old Momoa in the video above), but his old fan base is totally on board with where his career has gone. If you follow Momoa on Instagram, you’ve caught a glimpse of his thunderous laugh and his sense of humor — but are you ready for him to go full comedy? Apparently, he’s playing freaking Will Ferrell’s son in a movie soon. Yes, you read that right. We couldn’t be more excited. We are so here for Justice League.